It says officers couldn't use a non-lethal tactic against Chance David Baker, who was drunk and pointing an air rifle at passing vehicles in 2017, and no changes in police policies are needed. 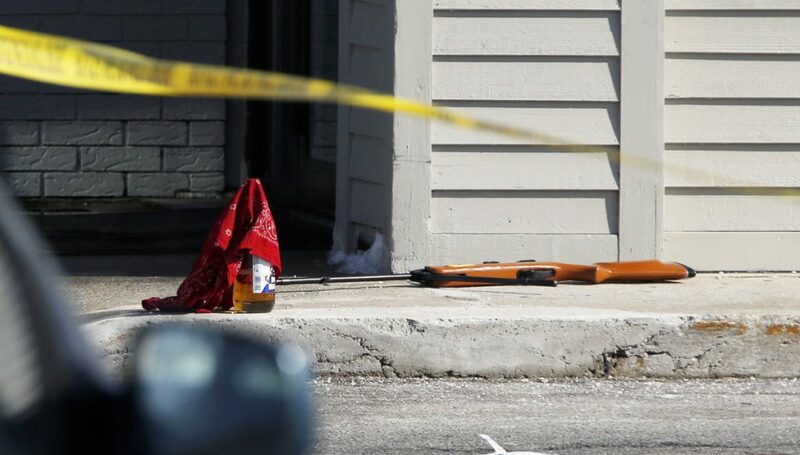 A pellet rifle and a bandanna-covered bottle of malt liquor remain at the strip mall in Portland after Chance Baker, 22, was shot by police in February 2017. 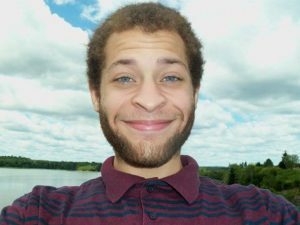 A standard police department review of the fatal shooting of Chance David Baker by Portland police Sgt. Nicholas Goodman in 2017 found that deploying a less-than-lethal round or a Taser would not have been effective against Baker, who was wearing heavy clothing, which reduces the effectiveness of those devices. The review also found that Goodman followed police procedures during the shooting, and that his training was adequate to prepare him for the situation. The standard Incident Review Team evaluation, conducted April 3, is required by police departments after officer-involved shootings, and is designed to determine whether policies should be reviewed or revised, and whether protocol was followed during an incident. A memo detailing the review’s findings sent by department lawyer BethAnne Poliquin to Chief Michael Sauschuck was released to the Portland Press Herald in response to a Freedom of Access Act request. The review also addresses how a police department mental health professional had tried to help Baker get treatment for unspecified mental health conditions. But the department could not force Baker into treatment, the report notes. Baker’s family had suspected he was suffering from undiagnosed mental health conditions, and struggled to know how to help him. Before his death, although he struggled with homelessness, Baker worked multiple jobs. He died with an uncashed paycheck in his pocket. The shooting unfolded on a bright and clear Saturday morning in February 2017 after Baker, 22, who was also highly intoxicated, bought an air rifle from the Coastal Trading & Pawn store in the shopping complex. The team was critical of the pawn store for selling the rifle to the intoxicated Baker. But the report noted that under Maine law, even though possession of a firearm while intoxicated is prohibited, the air rifle that fired small pellets is not by statute a firearm. Once outside, Baker began to point the rifle at passing cars and people. Multiple people called police, and within minutes, Goodman and another officer advanced toward Baker, who was standing near the Subway sandwich shop in the complex. Goodman issued commands to Baker and tried to make verbal contact with him, but Baker did not respond, and Goodman fired his rifle once, killing Baker instantly. The Maine Attorney General’s Office concluded in March that Goodman was legally justified in killing Baker because Goodman feared for his life, the life of his fellow officer and the numerous citizens who were in the shopping center that day.